The current 400-year cycle of the Maya calendar closes on 21 December 2012, and some esoteric people interpret this as the end of the world drawing nigh. A. Lange & Söhne's watchmakers do not share this view and instead are delivering one of the most innovative tourbillon watches endowed with a perpetual calendar – right on time to welcome the new cycle. The LANGE 1 TOURBILLON PERPETUAL CALENDAR was developed for everyone who looks to the future with reassurance but appreciates the convenience of an accurate calendar. Indeed, this calendar will not have to be corrected until the year 2100, and then by merely one day. People who think long-term must be optimists and will not be disconcerted by apocalyptic visions such as those often associated with the Maya Codex. Some 800 years old, the Maya Codex is remarkably precise in its astronomical calculations; it marks 21 December 2012 as the end of an old and the beginning of a new 400-year cycle. This unique manifesto proves that the Mayas were exceptionally innovative on the one hand and saw their world in a bigger context on the other. 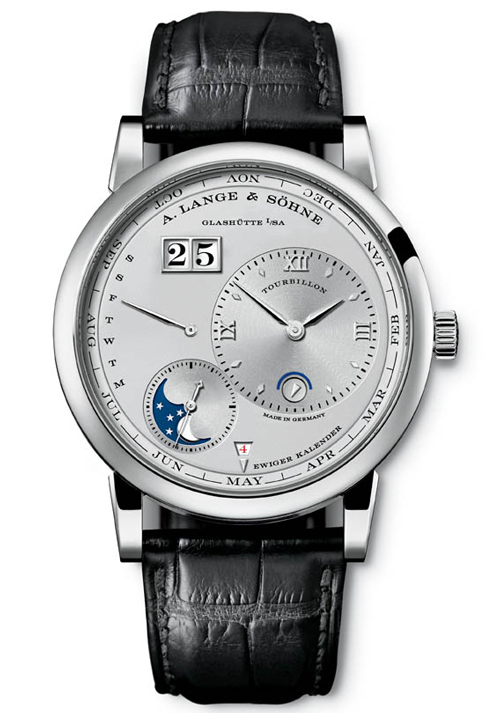 These are two traits they share with A. Lange & Söhne's product developers. 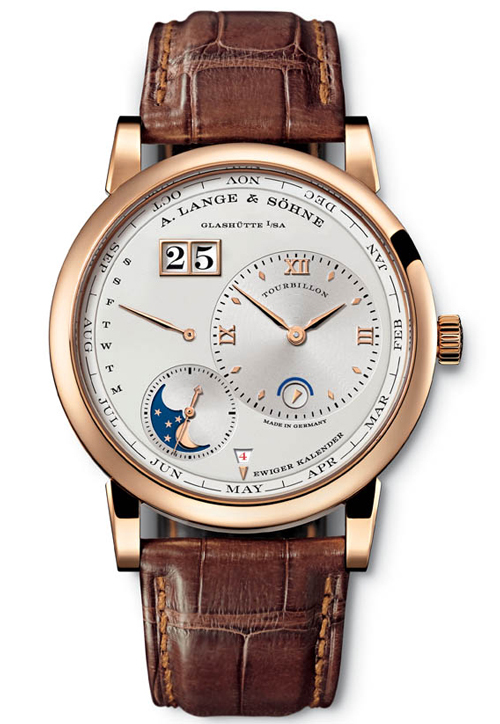 In this respect, it is legitimate to say that the LANGE 1 TOUBILLON PERPETUAL CALENDAR and the Maya Codex reflect a kindred spirit. The watch also symbolises the eminent Saxon brand's innovative thrust. To create the prerequisites for integrating a calendar in the asymmetric dial architecture of the LANGE 1, Lange’s product developers devised the very first rotating peripheral ring ever to indicate the month in a wristwatch. Additionally, all displays of the perpetual calendar switch forward instantaneously, so they deliver precise readings at all times. 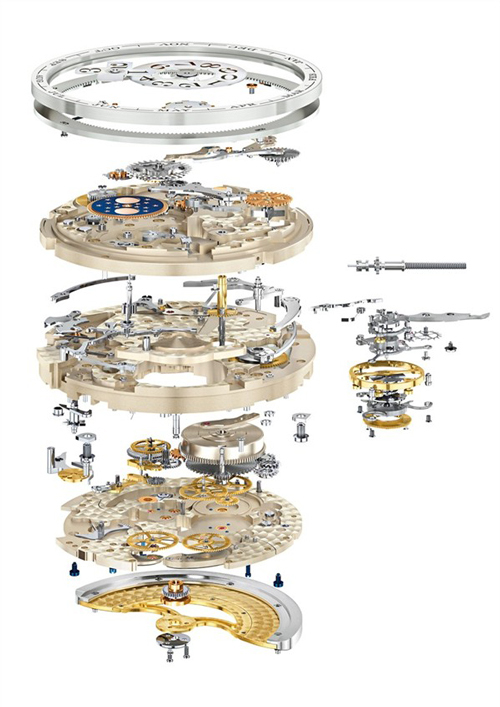 This model is another horological milestone in the history of the renowned manufactory. Walter Lange also professed confidence in the future when, after the fall of the Berlin Wall, he decided to breathe new life into the tradition that his great-grandfather had established in 1845. 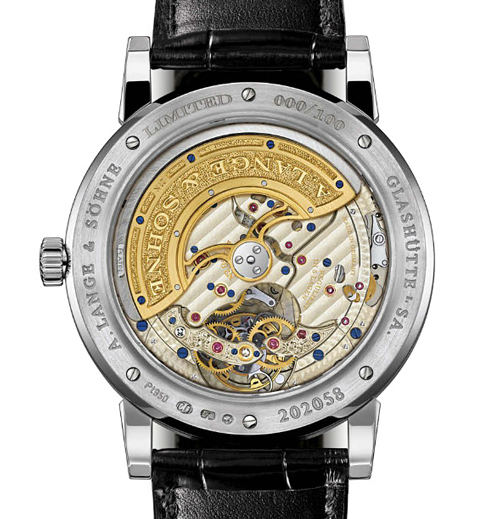 The presentation of the new timepieces from Saxony on 24 October 1994, above all of the LANGE 1, marked the beginning of the unprecedented ascent of the A. Lange & Söhne marque, which today occupies a top rank among the world's most acclaimed watch brands. For Lange, the attainment of a goal is always an incentive to evolve, as evidenced by the company's recent decision to enlarge its manufactory with a new building. The extension provides extra floor area of over 5000 square metres and will help optimise production sequences as well as working conditions. With the ground-breaking ceremony on 5 September 2012, the Saxon enterprise ushered in a new epoch of its successful heritage, creating space for future innovations. The forward-looking ingenuity of the Mayas can be witnessed first-hand in Dresden. The only publicly accessible exemplar of the three existing manuscripts of the Maya Codex is held in safekeeping by the Saxon State and University Library there. The other two authentic codices are safeguarded in Paris and Madrid.